Excuse my absence on the blog as of late, it’s been a busy couple of weeks at home between helping my family with a couple of things, enjoying time with my vacationing Wifey Nadia and celebrating the last birthday of my 20’s on Catalina Island. I’ve cooked one of the meals for our upcoming “Southern Comfort” week, but then I put on the brakes because, well, I have been eating meals out lately. I know I said I wouldn’t, but it wasn’t as easy as I thought it would be, especially with late nights, birthday meals, incoming visitors–life in general. But I will be hunkering down, and as I explained with that lasagna cupcakes recipe, I’m looking for ways to make quick meals that fit into, well, life in general. On a positive note, my weight has stayed relatively the same, and I’m not falling victim to processed fast foods, so at least some of my old habits have permanently changed for the better … though not all of them, obviously, lol. 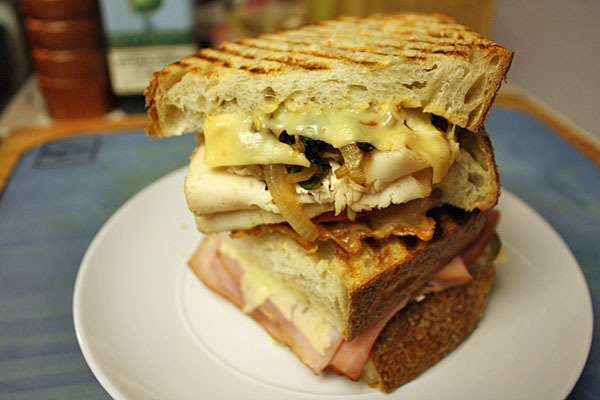 When I need a quick meal, chances are I turn to my panini press. I love sandwiches because you can do pretty much anything with them–I recently made a Southern Chicken Sandwich with chicken breast, havarti cheese, fresh tomatoes, kale and Red Rooster mayonnaise. I know that’s a lot to take in, but they’re mostly simple to put together and you’ll have a solid meal in no time. 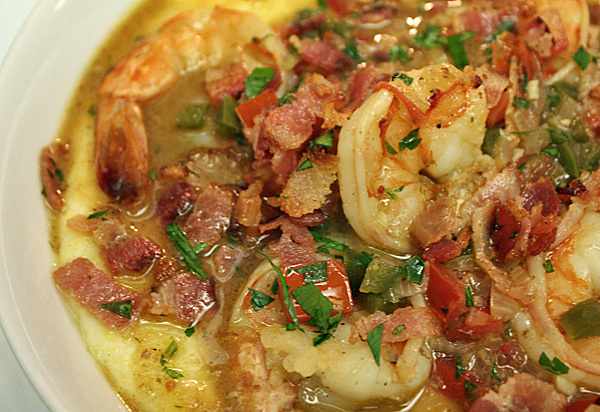 Follow the jump for Chef Brian’s Media Noche recipe. As a final tip, if you’re in Orange County, check out Cafe Chiarini in Santa Ana for your bread. They’re only open on weekdays, and each (massive) loaf is $10, but split one with a friend and you’ll still have enough to make sandwiches all week (one slice in half is enough for one sandwich, the loaf is that large). 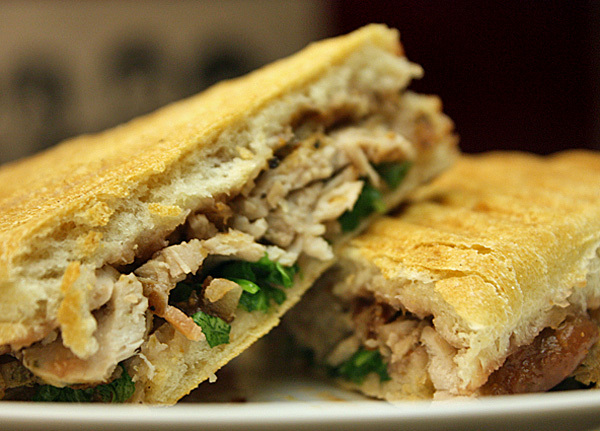 It’s my favorite sandwich bread in OC, and totally worth trying if you haven’t yet. 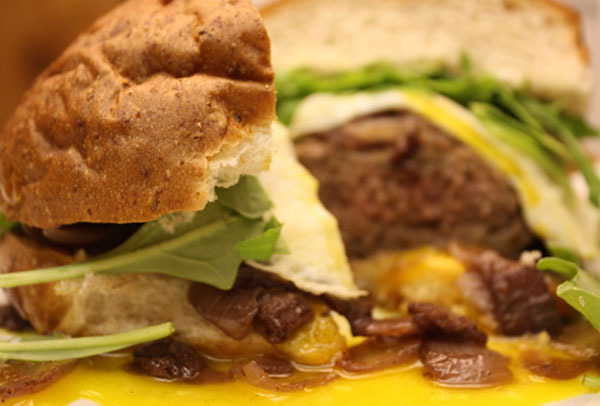 Only I would seek out a healthy version of a bacon and egg burger, but it looks like Chef Brian has gone above and beyond yet again with Week 7, Meal 1: Grass-fed beef burger with bacon, caramelized onion compote, arugula and over-easy egg. I wrangled whatever the calorie count is down a little while increasing the healthiness of the meat by using grass-fed beef instead (about 250 calories for 4 oz. ; Read: Benefits of grass-fed beef). I also went with a reasonably low-cal roll, at 170 calories per piece. If you didn’t notice by the headline, there’s bacon in that there sandwich. If that ain’t an advancement in healthy eating, I don’t know what to tell you. But bacon is low in calories (40-50 per slice, though high in fat) and a little bit can totally be a part of a healthy diet. For our second meal of week 2, we’re dressing that bacon with a bunch of great ingredients for our thyme-crusted roasted pork panini with balsamic fig jam and bacon.